Nvidia focused heavily on its new ray tracing technology during its RTX showcase. When the technology is ubiquitous enough ray tracing will allow some incredibly impressive lighting that until now was limited to show floor demos and a render farm but recently someone modified Quake 2 to support ray tracing and the results are impressive and you can try right now(assuming you have an RTX video card). Since iD Software released the source for Quake, Quake 2, Quake 3, Doom, Doom 2, Doom 3, etc anyone can take that source and modify it and someone did to retrofit it to support Nvidia's new RTX tech. As always, Digital Foundry has an analysis video and if you are... Read All Nvidia focused heavily on its new ray tracing technology during its RTX showcase. When the technology is ubiquitous enough ray tracing will allow some incredibly impressive lighting that until now was limited to show floor demos and a render farm but recently someone modified Quake 2 to support ray tracing and the results are impressive and you can try right now(assuming you have an RTX video card). Since iD Software released the source for Quake, Quake 2, Quake 3, Doom, Doom 2, Doom 3, etc anyone can take that source and modify it and someone did to retrofit it to support Nvidia's new RTX tech. As always, Digital Foundry has an analysis video and if you are interested in the future of 3D graphics technology, you should check it out. Quake II Turns 15 Today! This just in from the "I am getting old Department" it seems Quake II marks its 15th birthday today! Bethesda and iD Software rang in the occasion with some interesting tidbits from iD's Tim Willits. Only three artists made all the 2D and 3D art for the entire game. 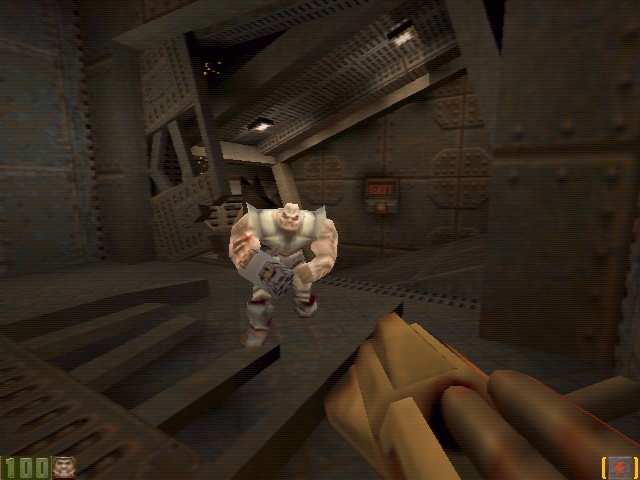 One of the original suggested names for QUAKE II was WOR, but the game’s fast-paced, tactile feel felt closer to a QUAKE game than a new franchise. ‘The Edge’ (Tim’s favorite deathmatch level in QUAKE II or any other game), has over 50 trick jumps possible in the map. Tim only designed two of them, and the rest were discovered by the QUAKE II community. ... Read All This just in from the "I am getting old Department" it seems Quake II marks its 15th birthday today! Bethesda and iD Software rang in the occasion with some interesting tidbits from iD's Tim Willits.